With advanced Tri-Layer Ball Cleaner technology, ReadyPutt™ is built to remove debris from your ball. Place the Tri-Layer Golf Ball Cleaner under a water source to absorb and maintain a wet cleaning surface throughout your round. 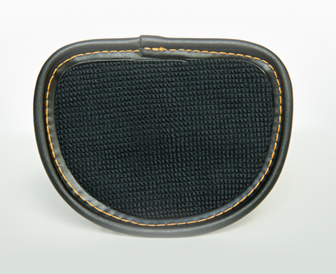 ReadyPutt™ putter covers provide a magnetic Utility Platform to secure metal objects such as a divot repair tool and ball marker. Always arrive at the green with everything you need to prepare your putt. 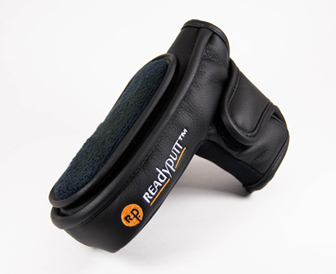 ReadyPutt™ is a revolutionary Putter Cover that provides the added convenience of a Golf Ball Cleaner. Every time you reach for your putter you will be equipped with a Golf Ball Cleaner and ensured a clean ball is ready for your putt. 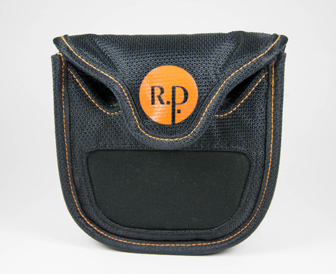 No longer will you have to remember to “grab a towel from your bag” ReadyPutt™ is with your putter every trip you make to the green.